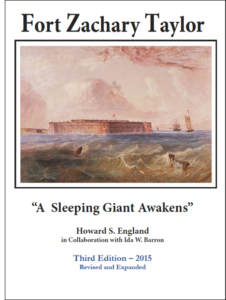 England Historical Enterprises proudly announces the publication of the new, first-ever Guidebook to Fort Zachary Taylor Historic State Park. I was puzzled for a number of years when I would meet locals in Key West and ask them what they knew about their State Park. If you used the term, “Fort Zachary Taylor,” many drew a blank. 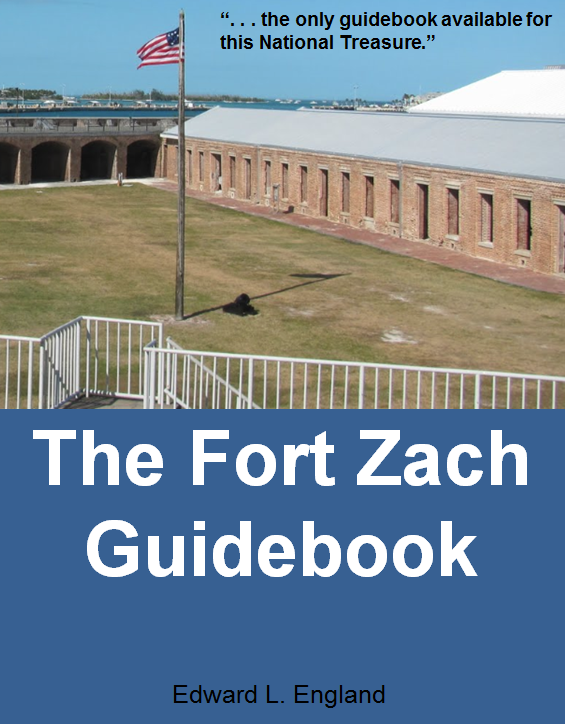 But, they really knew all about it, only they called it simply, “Fort Zach.” And many “locals” didn’t realize all that was beyond the entrance to the State Park. They thought of it as only a nice place to ride their bikes, go for a swim, or catch a few rays . . . but it is so much more. 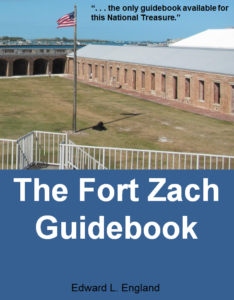 This first-ever Guidebook was written to introduce “locals” and visitors alike to the many hidden beauties and treasures of Fort Zachary Taylor Historic State Park – including the Civil War Fort from which it derives its name. It covers topics such as the history of the Park and how it came to be, the history of the Fort and how important it was to Key West for over 100 years, the natural attractions in the Park, the concessions available at the Park, and the special events that occur each year. There is no other resource that covers these aspects of this National Treasure! 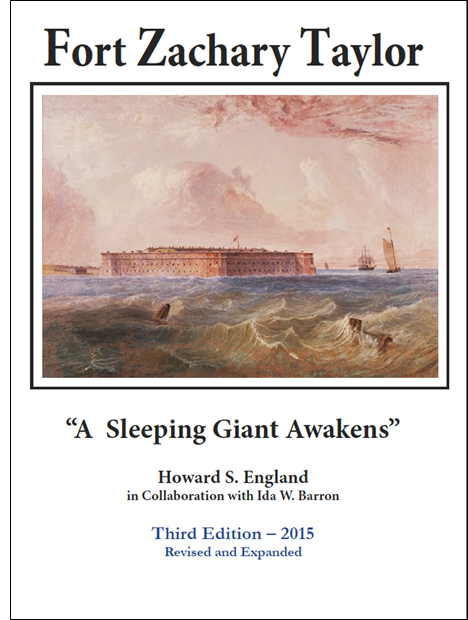 In 1977, Howard England published the first edition of this one-of-a-kind history of Fort Zachary Taylor in Key West. It told of the history of the fort as well as its re-discovery after 8 and a half years of hard work. This Third Edition represents a major revision and expansion of the Second Edition, published in 2014. The Third Edition corrects a number of minor errors in the Second Edition as well as adds several new features (a plan view of the Fort, a glossary, an index, etc.) but still preserves the essence of the original version. 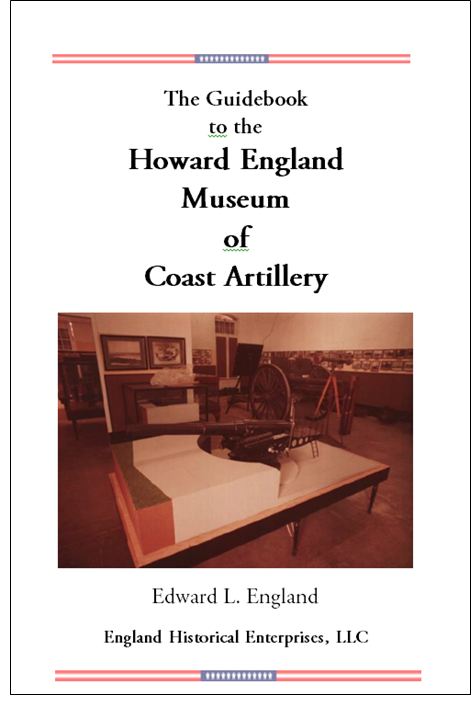 The publisher’s goal is to continue to make this rare volume, documenting Howard England’s work and legacy at Fort Taylor, available to an audience almost two generations after it was first published. From December 1968 when he began his work at Fort Zachary Taylor until he retired in August 1984, Howard England kept detailed notes of his activities for each day he worked. Before he passed in 1999, he drafted a complete, hand-written document which included all of his daily notes. Until this volume was published in August 2014, it was only available in Xerox copies of Xerox copies. 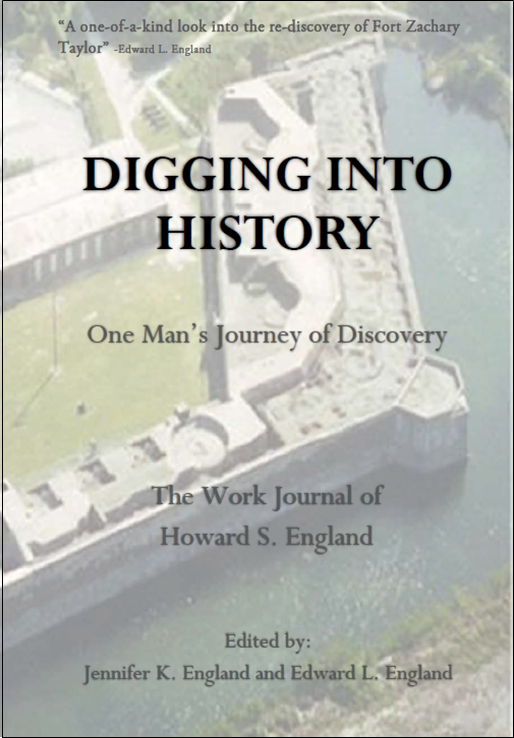 The publisher and his youngest daughter have prepared the first printed version of this important work that reveals Howard England’s archeological work at Fort Taylor. 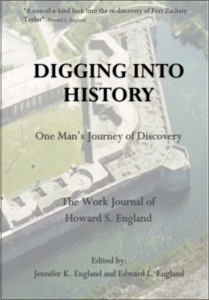 Digging Into History: One Man’s Journey of Discovery also has a detailed glossary of terms from the work journal and is fully indexed. It also has listings of those volunteers who helped along the way. A critical part of Howard England’s legacy of work at Fort Taylor was the museum that he put together at the Fort to show the various armaments and artillery that had been used over the period from 1855 to 1945. In addition to the models that were formerly in the Museum at Fort Taylor, Howard England also built and donated the outstanding model of the Battleship Maine located at the Customs House Museum of the Key West Art & Historical Society. He also built many scale aircraft models that depicted the history of aviation in Key West. Several of these are on display at the Fort East Martello Tower Museum in Key West.